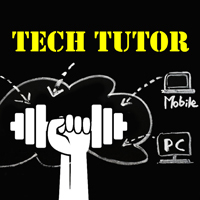 Book a session and get one-on-one help from a private technology coach! It's easy! Just make an appointment with library staff or reserve a time online using the registration form at https://www.anokacounty.us/FormCenter/Library-19/Book-a-Tech-Tutor-Signup-179. Library staff will contact you to confirm your appointment.Topics include: Digital photos, Email, Google Calendar, Google Drive, Microsoft Excel, Microsoft Word, Online Safety, and Social Media. Topics updated regularly. Check online or ask a librarian for an up-to-date topic list and scheduled times.